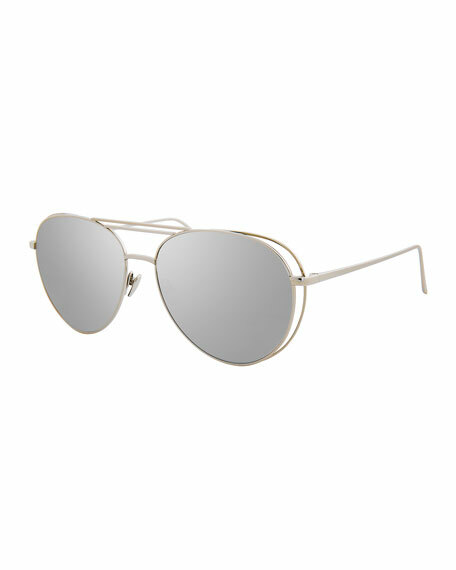 Prada aviator sunglasses in metal and composite. For in-store inquiries, use sku #2402859. 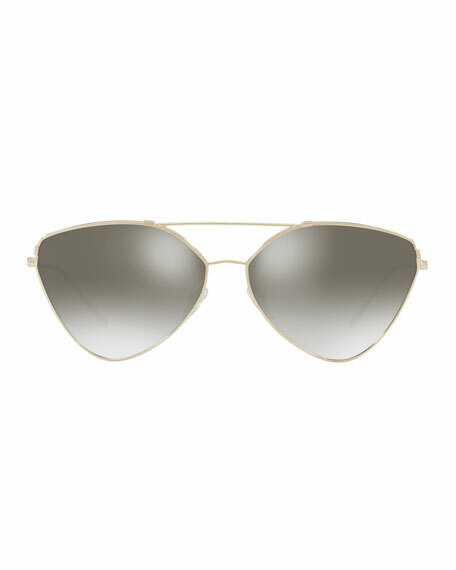 Linda Farrow semi-rimless aviator sunglasses. Lens/bridge/temple (in mm): 58-17-140. 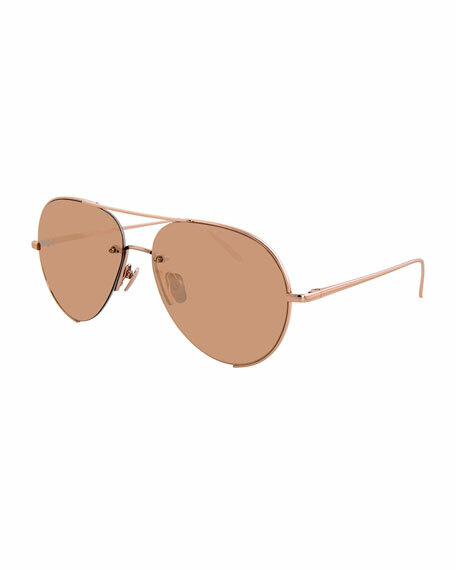 Titanium plated with 18kt rose gold frames. 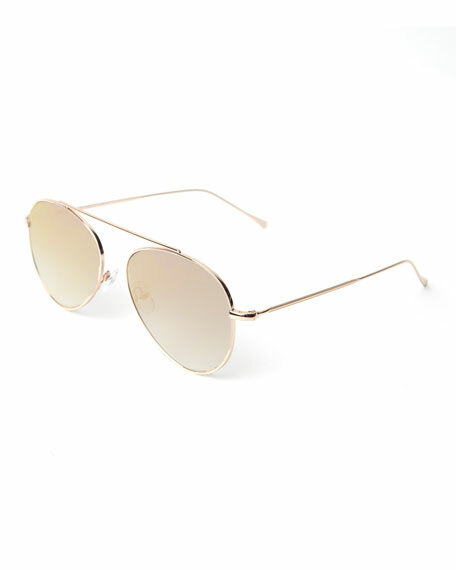 18kt rose gold-coated vaporized Cridalon lenses. Double nose bridge; straight brow bar. Adjustable nose pads. Thin arms. 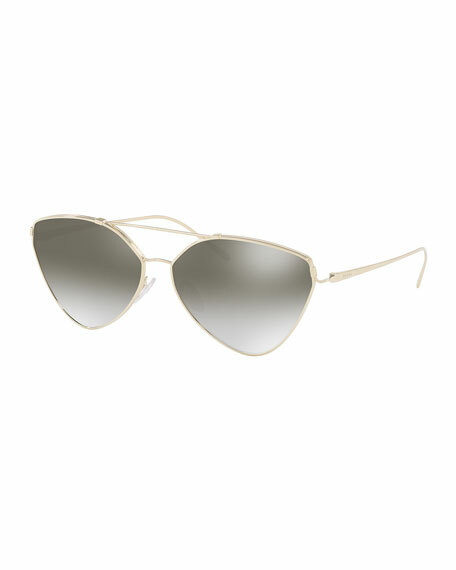 100% UVA/UVB protection. Made in Japan.